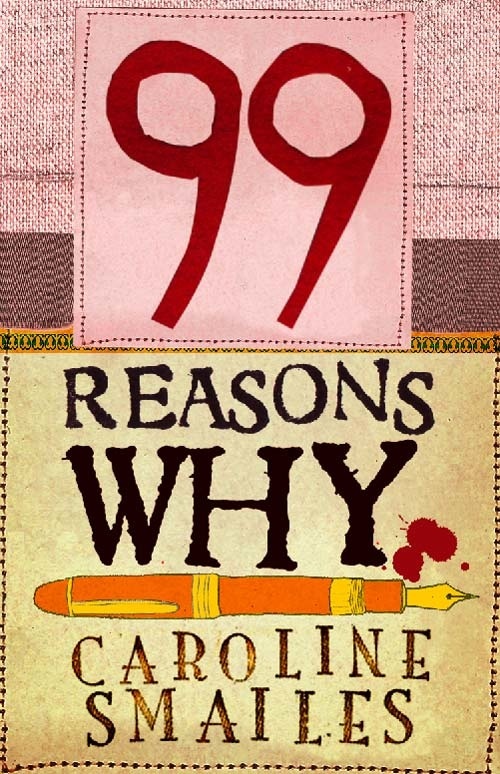 99 Reasons Why is available as a Kindle edition and an iBook edition. Caroline Smailes is the author of Like Bees to Honey, Black Boxes and In Search of Adam. You can find out more about Caroline and her books on her Author Website, her Blog or by following her on Twitter: @Caroline_S. Oh yay, you got one of the endings! I wanted to take part but I totally forgot to email the person to get the ending. Bad me! I’m glad to read it on your blog, though, and I can’t wait to read Caroline’s book! I had a rare organised moment (it’s over now) and emailed when I saw the request! Otherwise, I might not have got around to doing it either, Talli, and I’m probably nowhere near as busy as you are. Pleasure, Susan. I like that I’m adding to someone else’s TBR pile for a change. Thanks for stopping by! Caroline is so clever. I can’t wait to read this book. So many books, so little time to read them, unfortunately. I think I need to book some time off work just to try and catch up with my reading! I think I need the same, Debs. If only I could take one week off in every four as a reading week or something? I’m totally in awe of all the organisation and planning that must have gone into this book. Hopefully Caroline is on to a winner here!